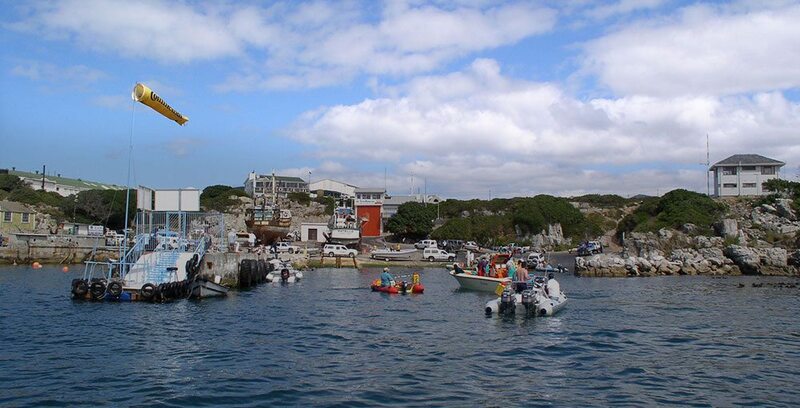 Walker Bay Boat and Ski-boat club in Hermanus is dedicated to safe, sustainable and enjoyable boating and fishing, providing a base for social events attended by it’s boating and non-boating members. Walker Bay Boat and Ski-boat Club was started in 1993 under the leadership of Dougie Green and Barry Densham, with Eugene Le Roux as Treasurer. The land which the club stands on at this present day was leased in 1994 and the first club AGM was held in the completed clubhouse in 1997. In 2000 the enclosed deck was added to the clubhouse by the club members with Jem Sechiari, and Ed Lucas prominent in the work. The north/south alignment of the screws in the deck floor are tribute to their perfectionism. In 2003 the club celebrated it’s 10th anniversary, with 14 out of 24 foundation members still active. Still going strong and honored as Foundation Members, still active in the club, are Eugene Le Roux, Tjaart Olivier, Ed Lucas and Jem Sechiari. In 2014 the club celebrated its 21st birthday attended by Dougie Green who had since retired to Somerset West. In 2016 the club renewed its lease for the site with the Department of Public Works for a further 5 years. The clubhouse has been refurnished and has a secure and covered boatyard, close to the the slipway for members boats (there is a waiting list for places).